How Low-E Glass is designed to work. Low-E glass works a few different ways. A double pane glass has two pieces of glass with air trapped in between the two. The unit has four surfaces on both pieces of glass. Surface one is the very outside surface ‘Outside of your house”. Surface two is the inside surface of the outer pain, surface three is the inside surface of the inside pain, surface four is the outside surface of the inside pain, the surface you can touch when you’re standing inside your home looking out. Hope this isn’t too confusing. When you have a Low-E glass unit there are a few different ways the glass manufacturer builds a Low-E unit. In the Midwest, the Low-E coating is placed on surface three. The purpose of this is to reflect some of the sun’s rays back out of the unit to the outside keeping the heat out of your home. During this process, it has to pass through the air space between the pains and warms up the air. This makes a warm barrier in the glass to help keep the cold from transferring inside in the winter. There is one major problem with adding Low-E glass to your home, this only works on sunny days, at night or on cloudy days this is very ineffective. The other design of Low-E glass is to apply the Low-E coating to surface two, this is done mainly in the southern states and hotter climates. This design reflects the rays out before it hits the airspace, keeping the trapped air cooler and adding less heat transfer into the house. Replacing or buying Low-E glass is a good choice, but your return on your investment will take a while. 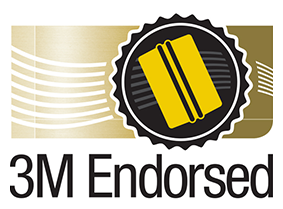 The masterminds at 3M™ designed their Low-e films to benefit you day and night summer and winter. Window film is applied to surface four. In the daytime, when the sun’s rays pass through the glass and hit the film it rejects it back out of the house passing through the airspace warming it up, helping in the winter and in the summer by rejecting the rays out. 3M uses a layer of polypropylene in their Low-E films. This is designed to retain the warm or cool air inside the house by reflecting it back inside and causing less heat or cold transfer to the outside. Window film has higher heat and UV rejection than a Low-e glass unit. 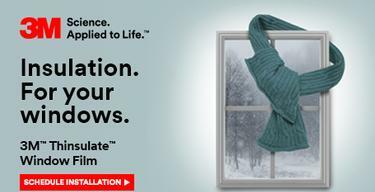 Your windows are the main contributor to heat gain or loss in your house or business 3M’s low-E window films are insulation for your windows. Making sure your attic has enough insulation has been a standard for years; recently Low-E glass is becoming the standard. Make sure you’re getting the best return on your investment. 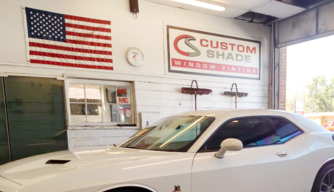 Call Custom Shade Window Tinting for any information on how to save money with our many window film options. 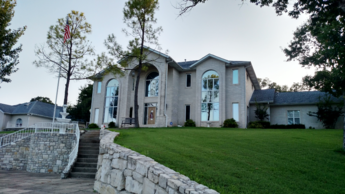 3M Thinsulate window film is a clear film that will virtually turn your single pain glass into the same properties as double pain and a double pain into a triple pain. This is a great all season glass film that you will never see. 3M Low-E 35% or 20% is a reflective film that will block out more glare and add some privacy to your windows.